Before Lincoln Clay laid waste to New Bordeaux in his quest for vengeance against the Italian mob, he did an equally action-packed tour in Vietnam. In this authorized prequel to the hit game Mafia III, Clay learns the skills he will put to use back in New Bordeaux—first as an Army grunt, then as a Special Forces soldier running covert ops for the CIA. 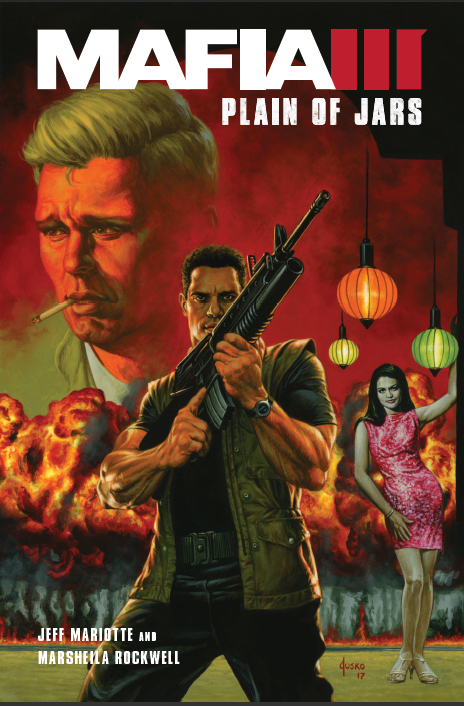 Featuring characters and locations from the game and a brand-new, original storyline full of intrigue, passion, and suspense, Mafia III: Plain of Jars is a great read for fans of the game and crime genre hounds looking for more of the world of Mafia to explore.